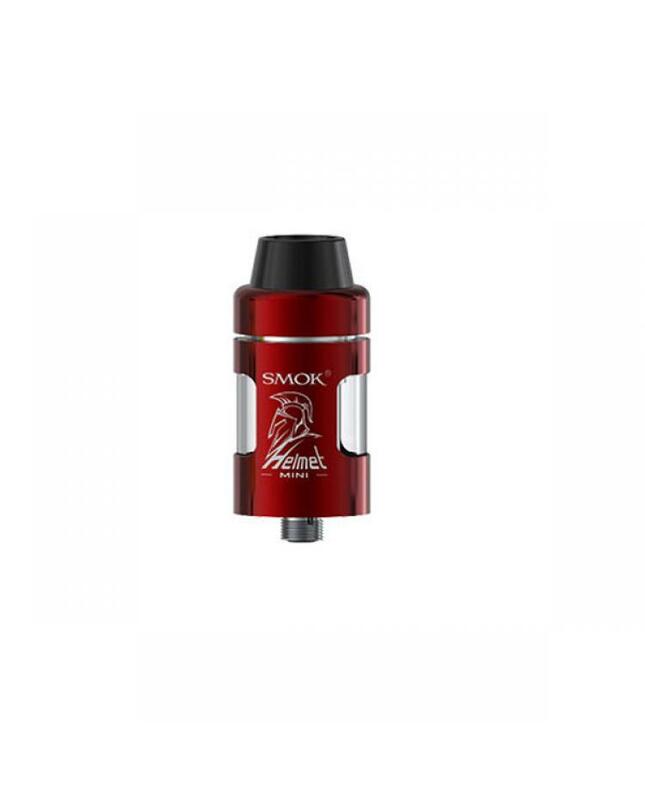 Smoktech helmet mini is the mini version of helmet tank, this new tank made of stainless steel and pyrex glass, four different colors available, can hold 2ml e juice, diameter 22mm, this new smok tank meet EU TPD regulations. helmet mini with innovative designs, top adjustable airflow system, vapers can control airflow only rotating the top cap easily. helmet atomizer with child safe design, top pressure spinning design avoids children's accidental opening or touch the e juice by mistake. the tank is integration body and leak proof, don't worry about leaking. smoktech released three different fused Clapton dual coils for helmet mini, resistance is 0.4ohm,0.6ohm and 0.85ohm. now you can choose the 24.5mm helmet tank or the 22mm helmet mini tank, both of them will bring you the best vaping experience.